Unfortunately we had a new server and she wasn't familiar with kids meals, so when we asked to order kids options she confidently said they weren't available. I thought they had a change of menu or management, that was until I heard them being offered to another table. It ended up costing us more to order adult items, which my child didn't like, and then order a kids meal after I heard it was available, more annoying than anything else. It all worked out, the place is fine. Excellent food and service. The entire staff made us feel welcome from the moment we arrived until we left. My wife and I went Friday night for the first time. We were so pleasantly surprised! I met Sonny, the Chef, and he suggested that we check it out, boy I’m glad we did!! The food was fantastic and the service as well. We can’t wait to go again!! 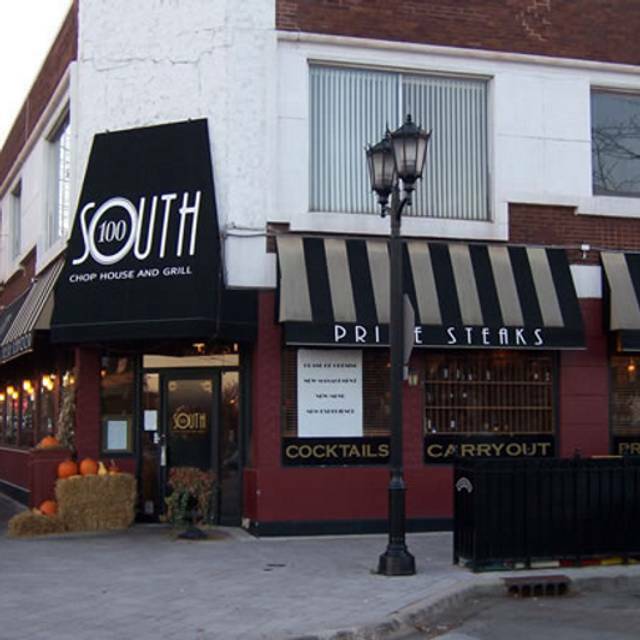 We have been to 100 South Chop on several occasions. Their service and food have always been outstanding! The place was excellent all the way around. Our server Danny was amazing. If you have not eaten here please go check it out. 5/5 stars. The food was fantastic. Our service was a little slow but I would definitely return. I would (and have) recommend 100 South to a friend. The food and service never disappoints! Our server, Daniel, was gracious and welcoming. He allowed us the time to relax and we never felt rushed. He gave us thoughts when we asked about recommendations and was overall a fine server. I would be remiss if I did not mention Sonny the chef. In addition to being a terrific chef, he is friendly and welcoming. Excellent food, ambiance, and service. Great dining experience. Would not recommend. Calamari was not fresh, seemed like It was premade and brought out. We were seated and waiter didnt come to our table for a long time. Restaurant very busy and we felt crammed at our table. Will not visit again. Cocktails and steaks always great. White fish was not good, spongey and over cooked. Broccoli as the vegetable of the Day was cooked, period. Absolutely no flavor whatsoever. Next time, add a little olive oil and lemon. Still go to place for steaks, but need to rethink other entrees. Warm geeeting. Owners present and care. Attention to service. Great options on menu. Priced well. Very well prepared. Highly recommend for suburban go to! Linens add the special touch! Generous cocktails! They do it right bc familybowned and operated. Love it! Went to celebrate a Birthday, food was delicious. Large portions, recommend their chili calamari. Very good food and excellent service! We were greeted and seated promptly on a Friday night (even earlier than our reservation). Our server, Dan, was pleasant and efficient. The food was done as expected. 100 South Chop House and Grill appears to be a good local restaurant where you find families and couples alike dining. Came to celebrate a birthday, and this place never disappoints! 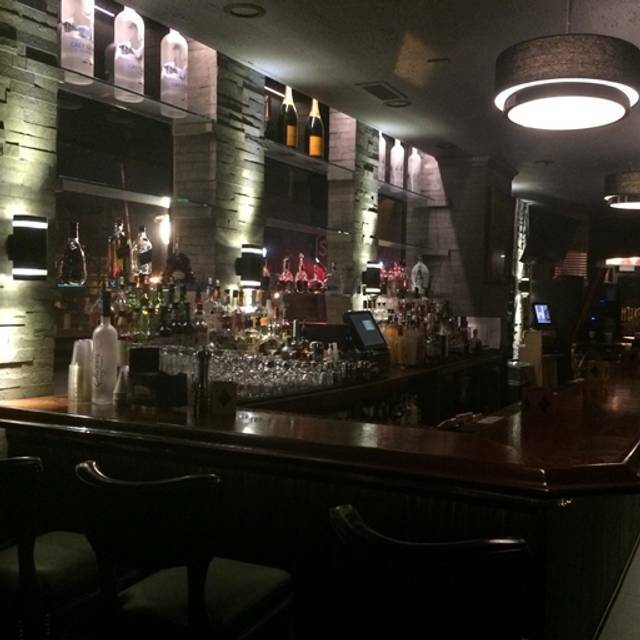 excellent atmosphere, food, and service! iIt was just ok. Prices like Capital Grille or Gibson’s but just not the same quality or high end service. Good food selection, great service, and food was tasty. Will go there again in the future. We love 100 South! The filet was delicious and the beef Wellington special was awesome! Our server encouraged us to order the oysters Rockefeller and they were a hit. Service was very attentive and owner Richard is always friendly and welcoming. Thank you for a great dinner! Food and people are awesome here. Always feel welcome from the time you walk in. As a returning customer, 100 south chop house is the spot!! Great for lunch or diner. Had a family dinner celebrating a birthday. Everyone’s food was great and the staff was equally awesome. I had the sea bass and I couldn’t recommend it more. Wouldn’t hesitate to return. 100 South Chophouse has become one of my family’s favorite local restaurants. Surrounded by plenty of world-class restaurants in neighboring Oakbrook, 100 South holds its own with beautiful juicy filets, creative twists on classic Italian favorites, and that to-die-for garlic butter served with warm bread. 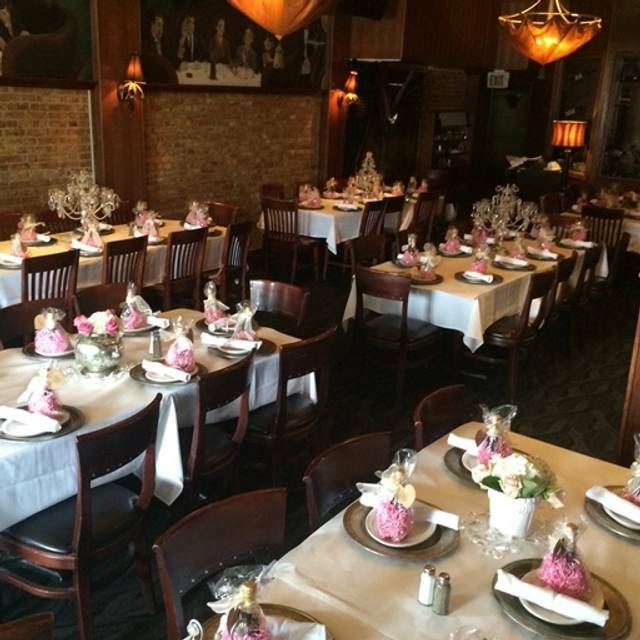 The service is fantastic and the decor makes us feel at home. If you haven’t been, go! Excellent food and drinks! Service was great too. This was my first time there and I would totally go back again. This place was great and definitely worth the trip from NW side in Chicago. Gave everything 5 stars. We went for our Anniversary on a Tuesday night so not really busy but I would absolutely revisit this location anytime. Our main server Dominic was hands on attentive without being annoying. Food was exceptional. Food was outstanding! They were easily able to accommodate our party of 9. Service was excellent. Time between ordering & food on the table was short. It would be a 45 minute drive ftom home but I’d go back again & again! Kevin, our server, was knowledgeable and very informative. Food was outstanding. Great location and love that part of Elmhurst. Styled to resemble the old fashioned Chicago Chop houses. 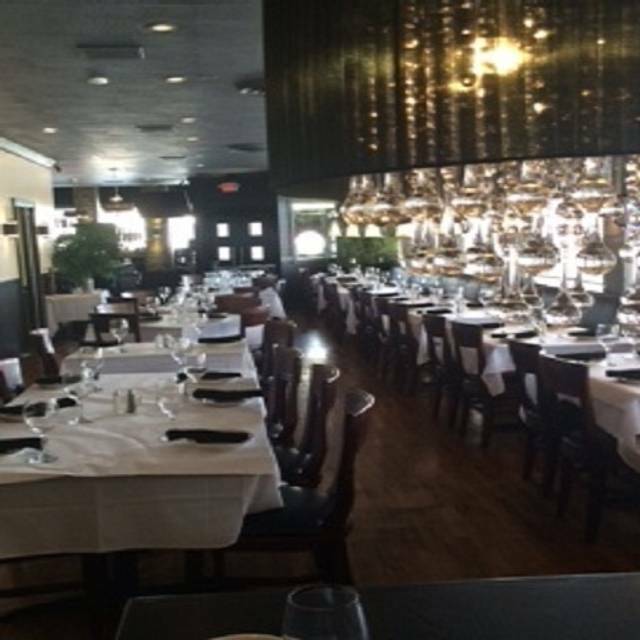 The restaurant is also family owned and multiple members of the family are there to make sure you are taken care of. Many of the employees have worked there for many years and are eager to make you feel special. They are also quick to seat you even without a reservation. Steaks and chops are good and prepared correctly and tasty. Pasta is good. Appetizers are good and the standards are available ( oysters, calamari, escargot, etc.). Salads and Soups are good as well. I live in Elmhurst and enjoy 100 South often. I Would recommend to go if you have not tried it. We showed up about 5 minutes before our reservation time and despite there being numerous open tables it still took about 30-35 minutes before we were seated. We had to go back to the hostess to see if they forgot about us. When we were seated it took another 10 minutes before a server would even take our drink order. When everything was sorted out we ended up having a great meal; the steaks here are great. Great food, friendly and attentive staff. Always a great night at 100 South! We made reservations for New Years Eve and enjoyed a wonderful dinner before driving to Drury Lane Theatre for a play. Dinner was amazing and our waitress was great. Tables are close together ( reminded me of New York) so you make friends with your neighbors (if you want to). Will be back for dinner again. It is pricey -but a special occasion at 100 South Chop House is worth it! We have been her several times but not for New Year's Eve. We went for an early New Year's eve dinner. Food was excellent. We had the Feast for Two. It was a lot of food. Our server was really great. We'll be back again. Food was good but the menu was limited and not what was advertised on the website. It was very expensive, loud, and cold in the room we were in. My family and I went to this restaurant for the first time on Christmas Eve because we could not find reservations elsewhere but read that this place had good reviews. We absolutely LOVED it and it was perfect for the occasion. Fine dining with great ambiance and charming surroundings, wonderful service, and great food. We all loved our meals and there was a great wine selection and cocktail list. Food and drinks were a bit pricy but you get your moneys worth in quality. We loved the steaks, salmon, halibut, and lobster!